Why should I use a planning consultant when applying for planning permission? Robinson & Hall, Land and Property Professionals, often receive planning jobs whereby the individual has attempted to apply for planning themselves and they now require our help. Abel Bunu, Senior Planner at Robinson & Hall, explains why it is important to use a planning consultant from the outset when applying for planning permission. In certain cases, if you get it wrong, it may be possible to apply for retrospective planning permission but there is no guarantee that such permission would be granted. Should that be the case and the council considers it expedient to take enforcement action to remedy the breach of planning controls, this could result in huge costs and/or prosecution. We recommend that you discuss your project first with our team of experts, no matter how straightforward it appears to be, in order to avoid some of the common pitfalls. Planning legislation and policies are always changing and the Planning team at Robinson & Hall can help you keep up to date with the latest changes and how you take advantage of them to unlock the value of your property. 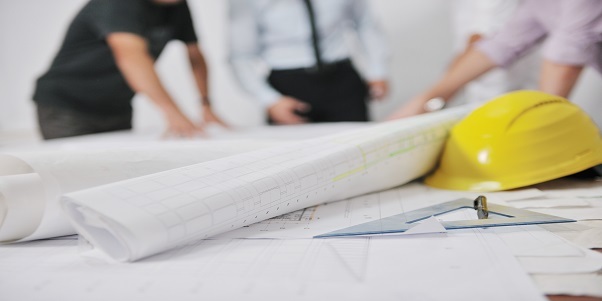 Not all development requires planning permission and our team of experienced planners can assist you to interpret the regulations and how you can benefit from the relevant provisions. For example, by considering Permitted Development Rights, you could make huge savings in application fees and costs of producing detailed drawings and surveys. It also means that the scope for third parties to object against your proposal are limited to only those matters that are stipulated in the relevant regulations. We advise that even when the internet is awash with information on planning related matters, it is not always possible for developers to get it right or pick the best route as planning regulations are couched in legal language which may require expertise to get the correct interpretation. Getting to grips with planning jargon and the planning process can prove to be a daunting task. Our team includes planners with previous work experience in local planning authorities and as such are well versed with planning procedures. This therefore puts us in a strong position to negotiate positive outcomes with council officers and members. Once an application has been submitted to the council, it may be necessary to keep abreast with its progress to ensure that you do not get an unexpected outcome at the end of the process. At Robinson & Hall, our team monitors clients’ applications by constantly checking the council website and remaining in contact with the planning officers. Where necessary, we respond to third party representations before a decision is issued and if support is required at the planning committee, we are on hand to assist. At times you may get a decision that you disagree with and wish to challenge it. Our team of experienced planners can assist you with the process, first, by assessing your options. We advise that as a first step, it is better to exhaust all channels of obtaining a positive outcome at the local level before lodging an appeal. We can explore your chances in this respect and advise how to overcome officers’ reasons for refusing planning permission. This is usually quicker than pursuing an appeal process. However, if we do not believe that there is merit in trying to address the reasons for refusal at the local level where, for instance, disagreement is based on matters of principle, it would normally be advisable to lodge an appeal. There are different ways of appealing a decision and after assessing your case, our team would be able to recommend one that best suits your circumstances. Our team takes specific instructions from clients and these can be amended by mutual consent throughout the project cycle. For large projects, we would normally recommend a phased approach which gives you the opportunity to review your costs and the original design brief. From our experience of handling varied projects, we have found this approach effective as unexpected costs can be avoided at an early stage. After carrying out an initial appraisal of your project, we will not advise you to proceed to the next stage if we believe that there are no reasonable prospects of obtaining a positive outcome from the planning process. At Robinson and Hall, we aim to provide a one stop shop which would provide you with the added convenience of dealing with only one agent. To prepare a successful planning application, and depending on the complexity of the project, several technical inputs could be required. We have an in-house drawing office which can prepare bespoke architectural plans designed to satisfy the councils’ design guidance and policy requirements. The planning decisions that you make frequently have wider implications on the value of your property and at Robinson & Hall, we have a valuation team that can assist you with this process and the disposal of your property.